Primary sources can give us a sense of time. Images and language that are from long ago can be brought to our attention by a photograph or letter. Primary sources can also give us a sense of place and connect that item from the past to somewhere very near us. 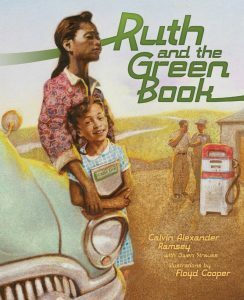 I had that feeling after reading Ruth and the Green Book by Calvin Alexander Ramsey and seeking out the primary sources related to the picture book. 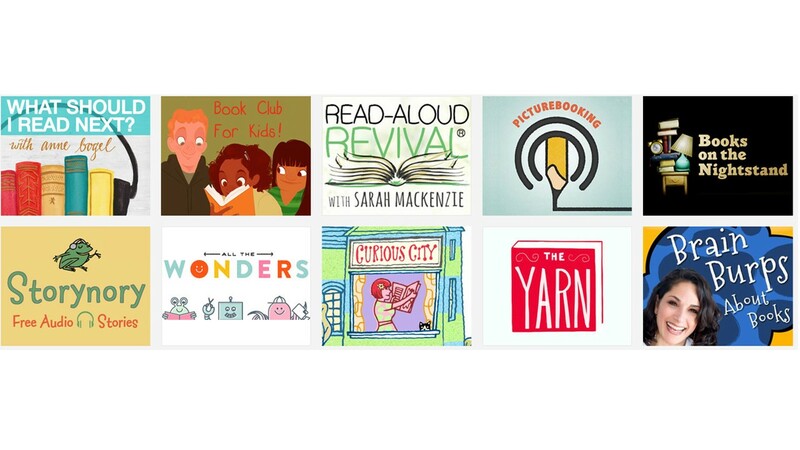 Everyday there are more and more amazing things to share about Future Ready Librarians! There are news, events, articles, posts and celebrations of successes of all kinds. We have the Future Ready Librarian Facebook page. We have #FutureReadyLibs on Twitter. We have Future Ready Librarian Collections. We have stickers, posters and even Future Ready Librarian tattoos! We have events at conferences, district professional development and within libraries. We have dozens of online and offline conversations daily. And that is just a start! With all of these incredible things being shared, learned and celebrated, I thought it would be helpful to have a place where we could go that would share all of these things throughout the year. 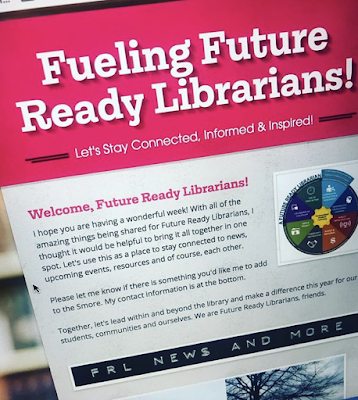 Let me introduce the Fueling Future Ready Librarians Newsletter! This will be that place. A place for us to stay connected to news, upcoming events, resources, and of course, each other. It will also be a place to jump in and volunteer by reaching out to say you would love to be involved in a Twitter chat, webinar or in another way. I will be updating this newsletter each month so please bookmark the Fueling Future Ready Librarians Newsletter so you can refer to it at any time. 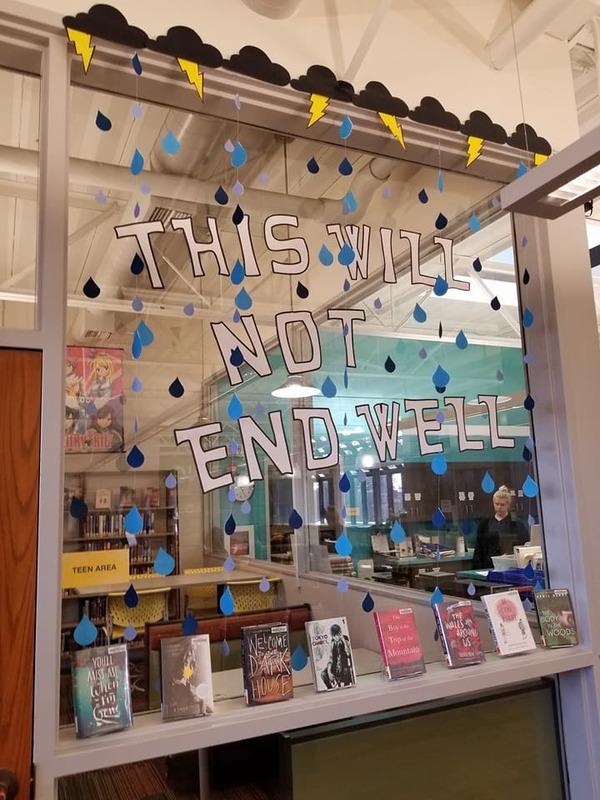 Together, let's lead within and beyond the library and make a difference this year for our students, communities and ourselves. Clever display at the A.V. Sorensen branch of the Omaha Public Library. Omaha Public Library (OPL) is joining Bellevue and Council Bluffs public libraries in a new initiative with Fontenelle Forest to offer free Forest admission to library members. All OPL branches will begin checking memberships out to patrons on Tuesday, May 1. Each of OPL’s 12 locations will have day passes available (one per day/per location) for check-out year-round to adults ages 18+ who are Douglas County residents or have a non-resident paid membership to OPL. Passes are good for one-time admission on the day of the week designated on the pass, and each pass admits two adults and children from their household. 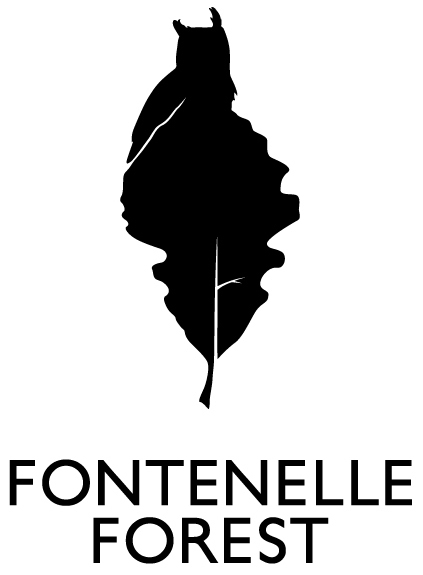 Individuals should check out the pass for the day they are interested in visiting Fontenelle Forest. Only one pass may be issued per library card and customer. Passes must be returned to any OPL location within five days of check-out. Unreturned or late passes will be subject to a $5 replacement fee. To see which OPL locations have passes available for the day of the week you’re interested in visiting, visit omahalibrary.org and search for “Fontenelle Forest” in the online catalog. You may also call any OPL branch location to check availability. Douglas County residents who do not have a library card may find more information about how to get a card at omahalibrary.org/get-a-library-card or by visiting their local branch. Fontenelle Forest is the second community organization to offer free admission through Omaha Public Library. A similar partnership with Omaha’s Henry Doorly Zoo and Aquarium was announced in May 2017. For more information, call or visit your neighborhood OPL branch location, or visitomahalibrary.org. 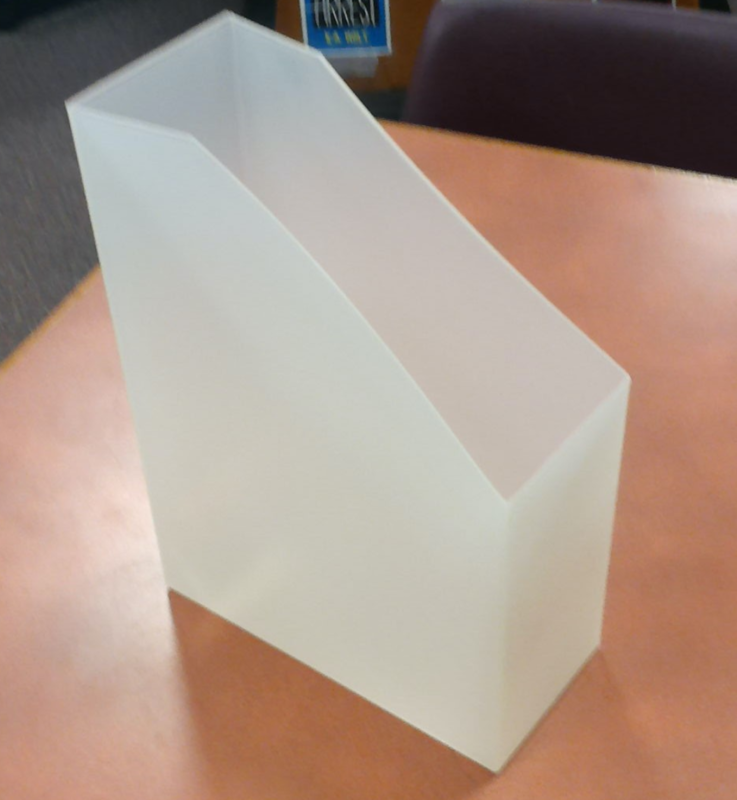 There are 14 of these little magazine boxes available from another school library in OPS. Please email Courtney if you would like them and how many. Technology is all around us. If you're a parent, you know firsthand that this is both a blessing and a curse. For students, the right tech used the right way can be transformative. It has the power to set up a child for success in school and in life. However, navigating the world of parenting in today's always-on digital age isn't easy. Monitoring online activity, limiting screen time and staying one step ahead of tech-savvy kids are all challenges parents face today. Ready for some irony? One solution to this technology problem is… technology. The eero Whole Home Wi-Fi System, Circle with Disney and Amazon Fire Kids Edition Tablets are three of our favorites. Each one can help parents control their child's digital time and help them stay safe online. Check out the video below to see all three technologies in action. This might be information your parents would appreciate knowing about. Keegan Korf, our CSM guru, has given the ok to share it out as may parents have asked questions about these specific items in the past. A Field Guide to “Fake News” and Other Information Disorders helps users investigate misleading and viral content, memes, and trolling practices online. Packed with data visualizations, this free manual highlights a series of research protocols, or “recipes,” which can be used to trace trolling practices—the ways false viral news and memes circulate online and the commercial underpinnings of problematic content. The guide was co-produced by the Shorenstein Center at Harvard University and the Public Data Lab in Amsterdam. Published under a Creative Commons License, the guide is free to copy, redistribute, and reuse.